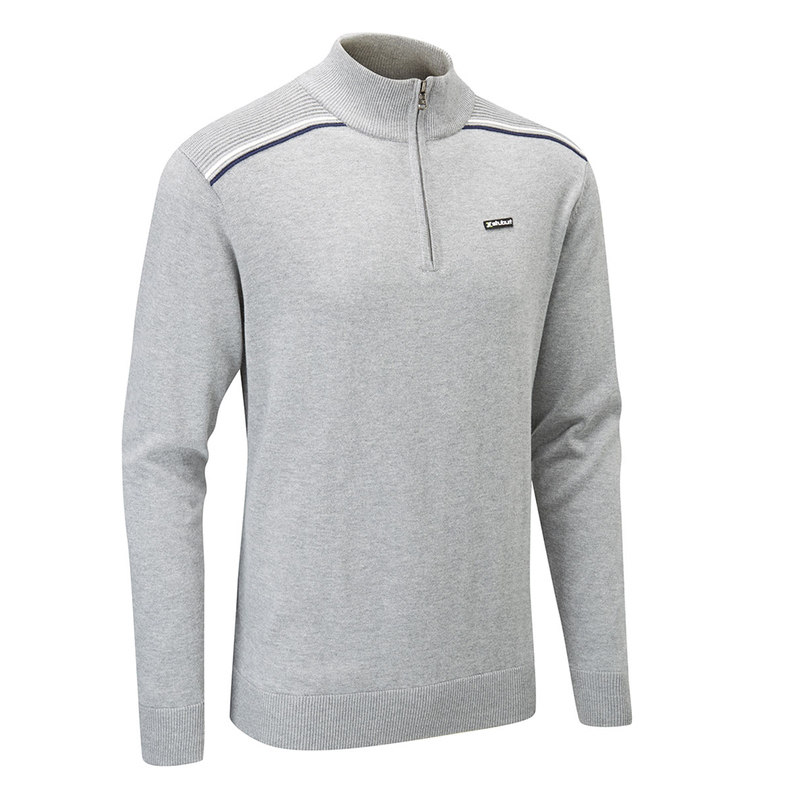 Block out the elements with this superb high quality sweater from Stuburt. The sweater has been designed with a half-zip opening and raised neck to help block out the wind chill factor which can have devastating effects on your golf swing. 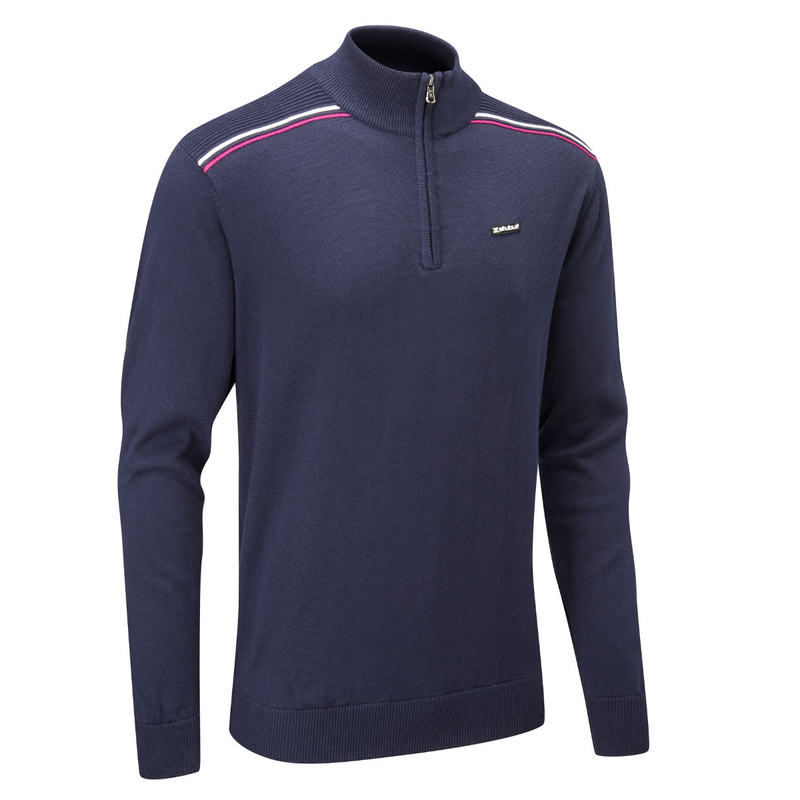 Plus to keep you warm and comfortable, the sweater has thermal properties to retain your body heat when its cold on the golf course. The sweater is lightweight and is soft to the touch and has the Stuburt branding to the left chest. Usually added to Line or Drip Dry. Dry away from direct sunlight.